The Rio Grande is a key site of the confluence and divergence of cultures of the United States and Mexico. As the river runs its course, it traverses managed recreational forests, agricultural land, Pueblo and Navaho Nations, and densely populated urban areas around the maquiladores of northern Mexico. My project addresses this cultural landscape, which consists of an ever more complex relationship between the natural environment and human agency. Between 2002 and 2008, I photographed along the Rio Grande River as it flows from Colorado to the Gulf of Mexico. I worked by projecting photographic images of the Rio Grande landscape onto assemblages of natural history specimens and cultural artifacts that I collected. 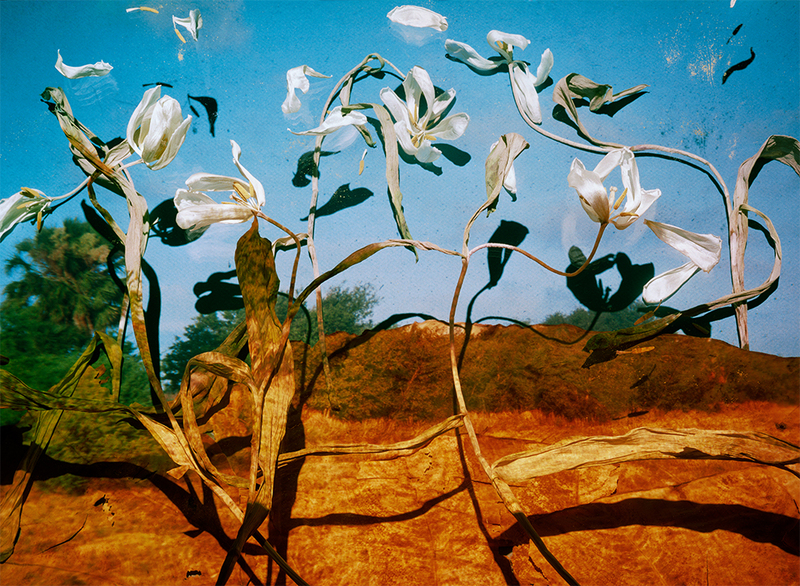 Prickly pear plants, cornhusks, soil, clothing, vinyl car seats, needles, and other objects were incorporated into still lives that invoke the complexity of human experiences along the river as well as the immediacy of history within this landscape. 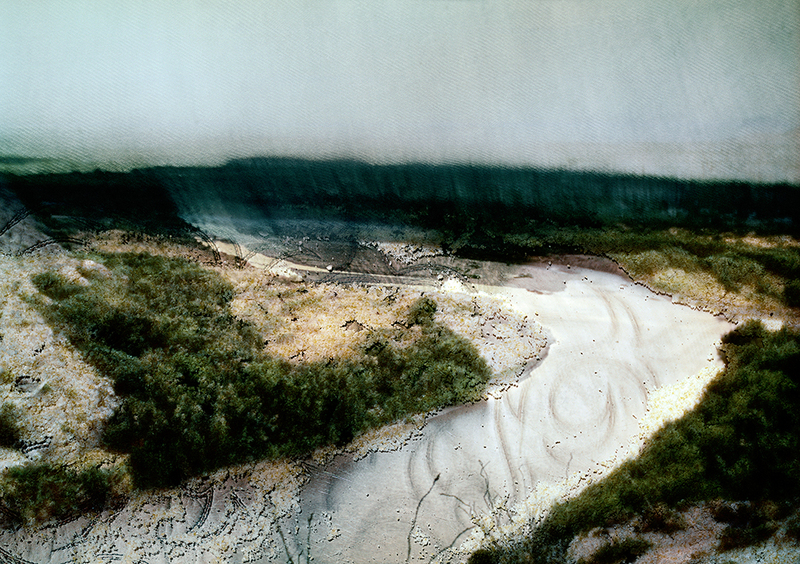 The still lives, illuminated by the projected imagery, were then rephotographed using a view camera to produce a landscape that, through its artifacts, refers to a water and land environment being reconfigured by a host of critical issues including water politics, immigration, and economic inequities.